You will pray the secret hidden in this one hundred year old book is just a conspiracy theory. Fight the good fight alongside Sebastian Drechsler, flawed student of 1785’s Ingolstadt University, as he battles through this epic adventure. Under the tutelage of the deadly Professor Van Halestrom he must learn the secrets of the Ancient Mystery School before the Illuminati overthrow the world’s financial institutions and cast mankind into eternal debt slavery. Hi, my name is Ethan Harrison. I am the re-publisher of this book. I first found its predecessor in the second hand book market under London’s Blackfriars Bridge back in 2012 and since then I have been fortunate enough to be contacted by a relative of the original publishers who, after a short negotiation, gave me the next three episodes planned for release but that never saw the light of day. If Sebastian Drechsler’s memoirs describing his epic battles against the Bavarian Illuminati during the late 1700’s are true then they would throw a totally new light on what is already a remarkable part of history. A history which, in many ways, still resonates with us today. This is why I have embedded the hypertext links in the text so that, if you wish, you can further explore the intriguing background behind this remarkable story yourselves. This dashing tale has ‘NETFLIX’ painted all over it in huge Hollywood sized letters. It is both surprisingly modern, featuring nail-biting chases, exotic weapons, beautiful accomplices and a dark sense of romantic comedy straight out of Richard Curtis’s Blackadder, whist retaining a timeless good verses evil plot, thought-provoking philosophy and a warmhearted soul which excuses its more gratuitous violence (which I personally loved). With the hapless hero being thrown from one death-defying cliffhanger to the next it is hard to catch a breath. I think I counted eight chapters in a row near the end where he is definitely going to die but even though they are his memoirs, somehow you never know. I am sure that I nearly wore out the edge of my seat on several occasions desperately reading on to find out what happens next. Great stuff! I cannot recommend this book highly enough especially the eBook version. I am not usually a fan of eBooks but this one is simply amazing. The hero rides through a forest, he sees a castle. You press a button, YOU see the castle. When he is reading about sacred geometry, a wonderful little minute long film let’s you SEE what he’s thinking. Marvellous. It really works and the mix between the text and the multi media links, Wikipedia, films and even music is paced exactly right with loads of information that you could read for months if you wanted. I hope you like the video which is nothing like the book at all but we could not find anything on the internet properly explaining the theory in the book so we made our own, and instead of one of us talking over the top of it like an idiot we stuck some music on instead. 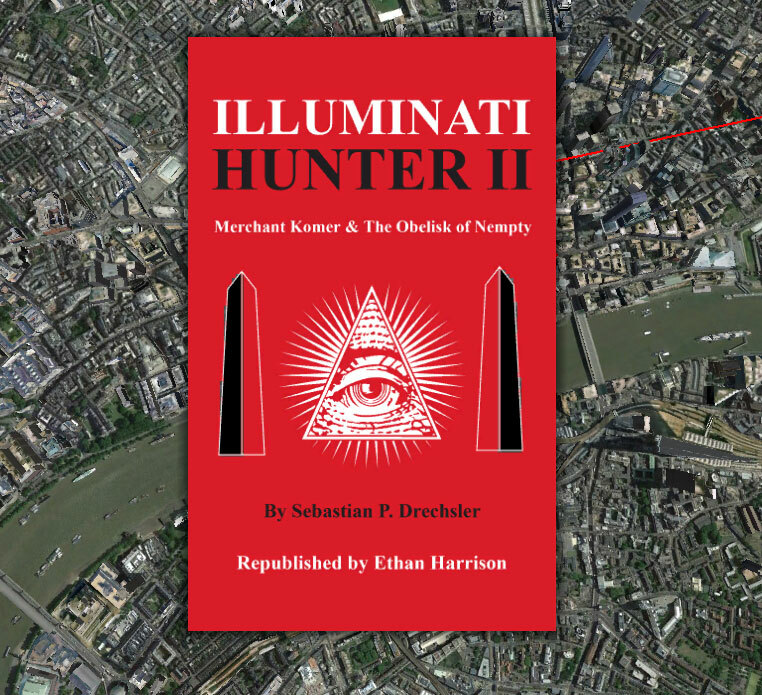 Thanks to everyone at Illuminati Hunter.com who helped to research the book, notably Carol and Robin and also Jason ‘Super Bean’ Morris in charge of IT and DJ Pyrate for the tune. Check out the website. The first four chapters are free. EBooks from Illuminati Hunter.com £1.19 or 99p or something like that and paperbacks @ Amazon £6.66. I am convinced that, if you have a soul, a sense of humour and like a proper good old fashioned but utterly ground-breaking book then you will love both Illuminati I and II. Merry Christmas. This entry was posted on 22 December, 2016 in homepage and tagged Adam Weischupt, Bavarian Illuminati, Conspiracy Theory, Ethan Harrison, Illuminati Hunter, Sebastian Dreschler. Bookmark the permalink.